Glenn Lott from Oak Hills, CA. Trout weighed 9 lbs. 3 oz. Caught using Gold Power Worm. 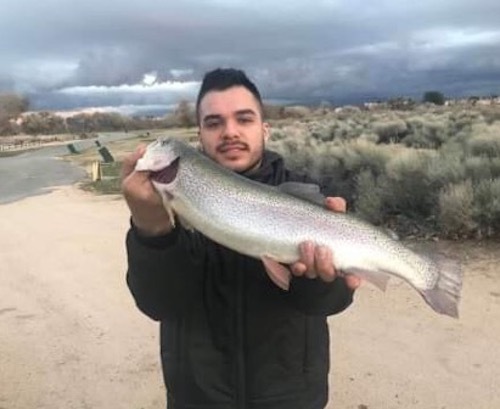 On Saturday, March 16, 2019, 167 fisherman attended the fourth 2019 San Bernardino County Regional Park Trout Derby. The derby was held at Mojave Narrows Regional Park in Victorville, CA. A total of 85 trout were caught and registered, with the top trout weighing in at 9 lbs. 3 oz. 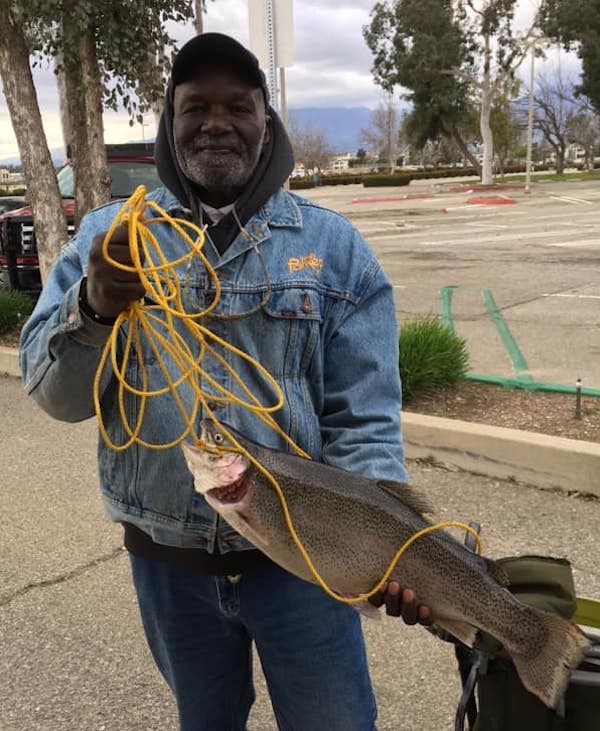 It was caught by Glenn Lott from Oak Hills, CA using Gold Power Worm. Twenty-four additional prizes were given out for trout weighing 8 lbs. 6 oz. to 3 lbs. 4 oz. First Place – Glenn Lott from Oak Hills, CA. Trout weighed 9 lbs. 3 oz. Caught using Gold Power Worm. Second Place – Lloyd Furness from Apple Valley, CA. Trout weighed 8 lbs. 6 oz. Caught using a white and gold shad. Third Place – Buntary Huour from San Bernardino, CA. Trout weighed 8 lbs. 2 oz. Caught using a yellow jig. Fourth Place- Andrew Garcia from Fontana, CA. Trout weighted 7 lbs. 15 oz. Caught using a yellow power worm. Fifth Place- Rufino Gaitan from Fontana, CA. Trout weighted 7 lbs. 15 oz. Caught using a jig. Thank you to all the park staff and volunteers that worked the event. Next Trout Derby will be Saturday, March 30, 2019 at Prado Regional Park. Lloyd Furness from Apple Valley, CA. Trout weighed 8 lbs. 6 oz. Caught using a white and gold shad. Rufino Gaitan from Fontana, CA. Trout weighted 7 lbs. 15 oz. Caught using a jig. Andrew Garcia from Fontana, CA. Trout weighted 7 lbs. 15 oz. Caught using a yellow power worm. Buntary Huour from San Bernardino, CA. Trout weighed 8 lbs. 2 oz. Caught using a yellow jig.